And I will establish my covenant between me and thee and thy seed after thee in their generations for an everlasting covenant, to be a God unto thee, and to thy seed after thee. And I will give unto thee, and to thy seed after thee, the land wherein thou art a stranger, all the land of Canaan, for an everlasting possession; and I will be their God (Genesis 17:7-8). 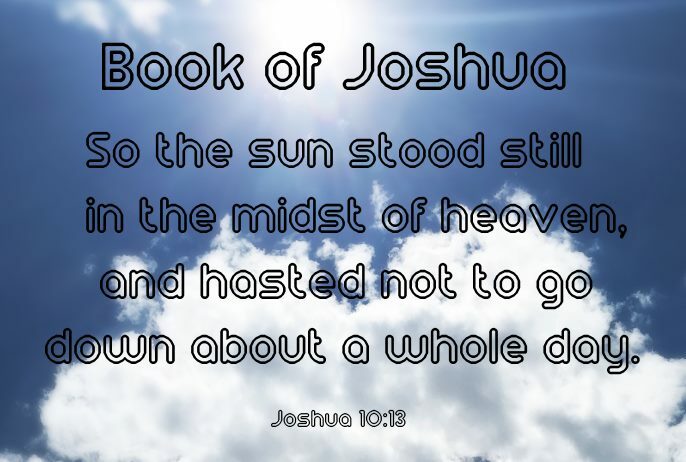 By faith Abraham, when he was called to go out into a place which he should after receive for an inheritance, obeyed; and he went out, not knowing whither he went. By faith he sojourned in the land of promise, as in a strange country, dwelling in tabernacles with Isaac and Jacob, the heirs with him of the same promise (Hebrews 11:8-9). The omniscient God knew that Abraham would obey His commands through faith. Whenever God gave Abraham a command, he promptly obeyed. Whether it was a command to leave his country, to circumcise all the male children of his household, or to sacrifice his son Isaac as a burnt offering, he was always willing to comply. 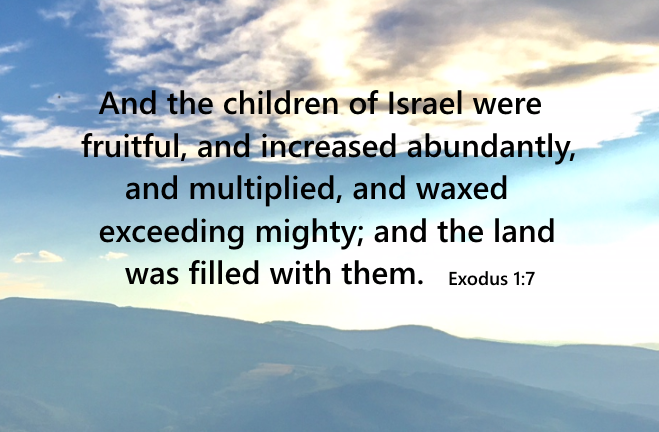 And the children of Israel were fruitful, and increased abundantly, and multiplied, and waxed exceeding mighty; and the land was filled with them (Exodus 1:7). 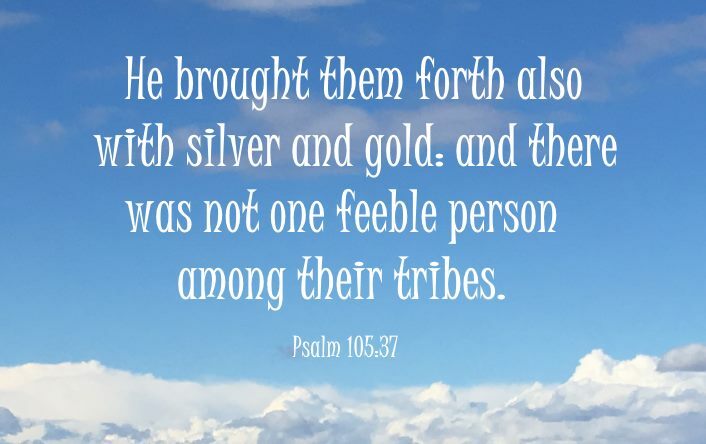 He brought them forth also with silver and gold: and there was not one feeble person among their tribes (Psalms 105:37). To this point in time, God had fulfilled His promise that they would multiply and become a great nation. His promise doesn't finish there though, the next step would be for the Israelites to leave Egypt before they conquered the Promised Land.